The United Way of Westchester and Putnam announced that Maria Trusa, CEO of Forme Medical Center and Urgent Care, has been appointed to its Board of Directors effective April 11th, 2018. Maria was the Executive Director of the Scarsdale Medical Group, a successful multi-specialty medical practice in Westchester, NY. With a trajectory of 26 years at Scarsdale, she decided to venture out and join forces with her business partner Gina Cappelli at Formé Medical Center in an effort to assist others in need. 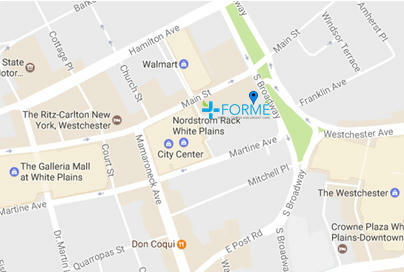 As CEO, Maria stands proudly and tenaciously behind Formé Medical Center, a Social Enterprise practice that offers high-quality, dignified medical care to residents and undocumented immigrants of Westchester County and surrounding communities.